Broom Sedge is a short-lived perennial grass that is also known as broomsedge bluestem, yellow sedge bluestem, and whiskey grass. It is native from the southeast U.S. up to the Great Lakes region. It is extremely fire resistant and rapidly grows back. It thrives in poor, sandy soils. It grows in small clumps of stems that are 1 1/3” – 3” tall. Usually, the old leaves and culms are still on the plant when the new ones begin to appear. The new culms, or hollow stems, are light to medium green and have tiny hairs on them. They can be slightly tapered to slightly flattened and are usually hidden by sheaths. The leaves are also light to medium green. As they age, they turn purplish to an orange color. Both the leaves and the culms turn straw colored with age. 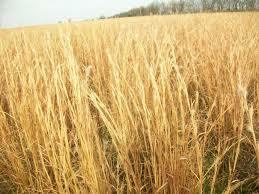 They produce vast amounts of seeds that are spread by the wind. 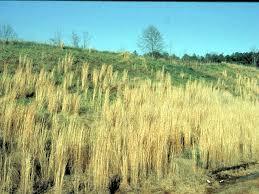 Broom Sedge is usually grown in pastures and grazing ranges, as well as meadows, fields, and grasslands. They can also be used as a background plant in landscaping. They provide birds and small animals with food and nesting materials. The Cherokee would use the stems to make a yellow dye. Broom Sedge will have a bright green leaf and will also have a great shine. This grass is a fast grower and can grow up to 2 feet in a year. v works excellent around water gardens also. Broom Sedge is attractive to use as a border. This plant has bright leaves. The wetting soil is tolerant. It is a fast grower. This plant is tolerant of rabbits. Broom Sedge is perfect for any garden. Broom Sedge will look like a masterpiece around ponds and water gardens. This sedge does good in moist and dry soil varieties. Broom Sedge will work great around ponds and lakes. Broom Sedge also gives a unique touch to water gardens. Broom Sedge will provide a natural look at walkways and looks excellent anywhere planted. The Broom Sedge is very easy to care for.